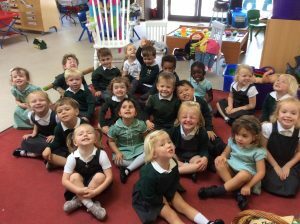 Nursery children are taught by Miss Hayes and are supported in their learning by Miss Sam and Miss Angela. The class is made up of children aged three and four. The role of the teacher is to continually inspire and motivate the children through purposely planned, play based learning opportunities which are linked to children`s needs, interests and EYFS Curriculum. We strongly believe that every child is a unique individual needing sensitive and appropriate support to develop and reach their optimal learning potential. We recognise the value of personal and emotional development, early years social skills as well as independence and confidence as vital aspects to a holistic approach to Early Years Foundation Stage education. When collecting and dropping your child at school, punctuality is really important. Being late can result in causing distress to your child and interrupts their learning. Should there are repeated and/ or unexplained late collections you will be asked to meet with the Headteacher so that any issues can be resolved.